The Director General of the National Council for Arts and Culture and President of the World Craft Council Africa region, Otunba Segun Runsewe has hailed the Federation of Tourism Association of Nigeria for finally arriving at a peaceful resolution to the crisis rocking members of the National Association of Tourism Practitioners. The D.G (NCAC) made this known in a statement issued in his office in Abuja saying that the amicable settlement of the issues bedeviling the Association will now pave the way for the progress of the practitioners as they try to move the industry to the next level. Otunba Runsewe recalled he had earlier invited leaders of the agitators in NATOP to Abuja in order to listen to both sides with a view to finding lasting solutions to their complaints. He expressed his gladness that the efforts had yielded fruits stating that during the meeting, he reminded the leaders that NATOP as an Association was his baby which he licensed in 2011and has kept close tabs with the affairs and growth of the group since then. Runsewe said has also received 2 awards from NATOP in the last two years as D.G of the NCAC hence his excitement at this positive development. 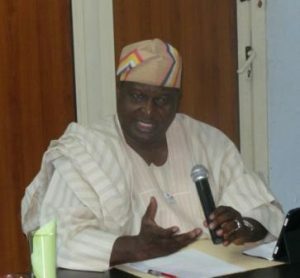 The NCAC boss used the opportunity to appeal to members to maintain the peaceful status quo in order to advance the progress of the Association just as he thanked the BOT for accepting the mediation of Culture and Tourism elders in FTAN and himself including Chief Amachree, Nigeria’s Father of Tourism. He concluded by promising to continually support the activities of NATOP as they try to build a vibrant industry for all practitioners. RUNSEWE ADDRESSES 32 COUNTRIES, CHANGES THE NARRATIVES OF NIGERIA IN 2 HOURS.